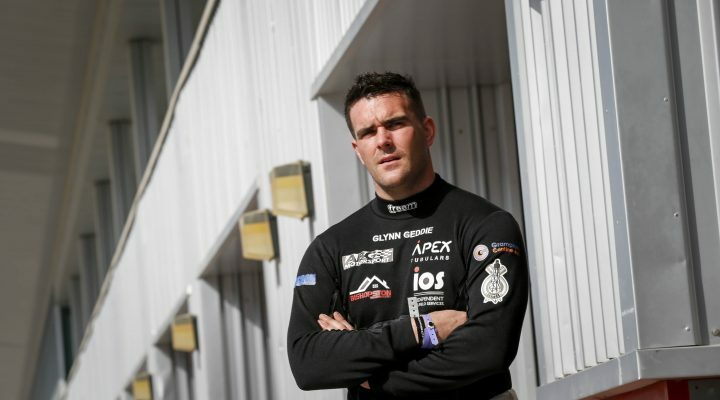 AmD with AutoAid/RCIB Insurance Racing has today confirmed the signing of former British GT Champion Glynn Geddie ahead of the seventh weekend of the 2018 Dunlop MSA British Touring Car Championship at Rockingham. Geddie will form part of an all-Scottish line-up for the West Thurrock based team alongside Rory Butcher, and takes over at the wheel of the MG6 GT that secured a top ten finish in the hands of substitute driver Ant Whorton-Eales during the special ‘Diamond Double’ meeting at Snetterton last month. Aberdeen racer Geddie has enjoyed an impressive career to date having enjoyed championship success in multiple series through the years. Winner of the Pro-Am2 and Pro-Am1 titles in consecutive seasons in the Porsche Carrera Cup GB, Geddie then switched to GT racing in 2011 as part of the Trackspeed assault on the GT3 class – taking four wins to finish second in the championship standings. Geddie then went on to spend a part-season in the BTCC in 2014 and has since raced in a range of different series, most recently the Porsche GT3 Cup in the Middle East. Fife-based team-mate Butcher heads for Rockingham keen to bounce back from a tough weekend on track at Snetterton last time out, where an unfortunate mechanical issue and then multiple bouts of contact prevented him from adding to his points tally. That meant he was unable to make the most of the impressive speed he had shown at the wheel of his MG6 throughout the opening half of the year and he now hope to add to the ten points finishes he has secured already in his first full season in the series. Rockingham marks the first circuit on the calendar where Butcher has raced a BTCC car in the past, having been the scene of his second outing with the Motorbase team twelve months ago – with a 14thplace finish in the final race being his best result.